In this article, I am going to introduce NodeJS with Node Package Module (NPM), step-by-step basic implementation and explanation. This article covers the following areas of NodeJS. NodeJS is an open-source, cross-platform runtime environment for developing server-side web applications. NodeJS also has an event-driven architecture capable of asynchronous I/O. NodeJS uses an event-driven, non-blocking I/O model that makes it lightweight and efficient. Installation of NodeJS and NPM is straightforward using the installer package available at NodeJS official web site. Download the installer from NodeJS WebSite. Follow the installer steps, agree the license agreement and click the next button. 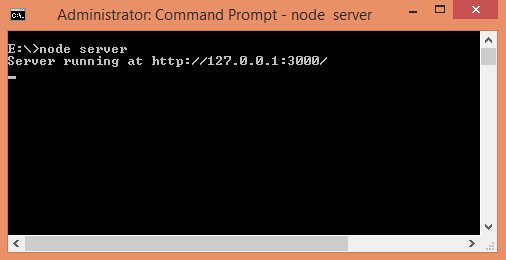 Run the test.js file using Node command > node test.js in command prompt. You are done with installation. The most important things in your package.json are name and version. Those are actually required, and your package won't install without them. The name and version together form an identifier that is assumed to be completely unique. Changes to the package should come along with changes to the version. Specify the place where your code lives. Through this repository, developers can reach out and contribute to your application. If the git repository is not GitHub, then the npm docs command will be able to find you. If you want to install the latest version of a file, you just have to put latest in place of the version name. Tilde(~) is used to tell "Approximately equivalent to version". We also need to defined hostname and port number, here we use localHost i.e 127.0.0.1 and port number 3000 and assign this to the variables hostname and port, respectively. In our example we are creating responses. We created the server, now we have to assign it a hostname and port number. 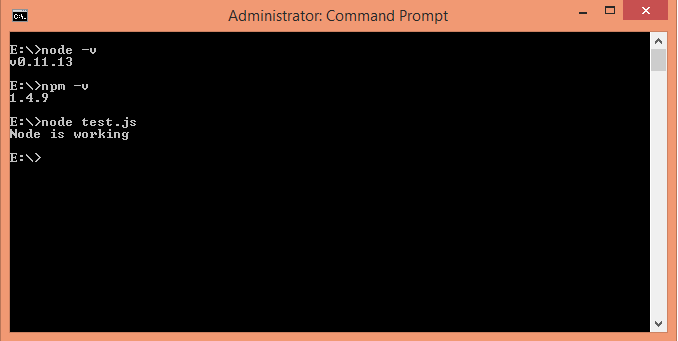 Here, the server listens to localhost on port 3000 and prints "Server running at http://127.0.0.1:3000/" in command prompt. Open a browser and enter url http://127.0.0.1:3000/. The browser will display Hello World message on the screen.